A regular concern within the rail industry has long been the conflict between the need for standards and the wish to be able to react flexibly and responsively to actual needs. This is often presented as a fight between central authority and local people and their customers. Network Rail has often found itself at the centre of a lot of this and has been struggling to find the right way to deal with the issue. Devolution to the routes has been a part of the answer, but not the whole solution. The Wales route is a prime example of where the issue matters. Much of the infrastructure of the route is different, significantly so, from the idealised major, high speed and high tonnage railway that is felt to be the subject of many company standards. In such cases, it is thought that savings and efficiencies might be had by managing the infrastructure differently, to different standards. This, it is believed, might be achievable without additional risks to health, safety or performance. In order to allow a managed introduction of such new ways of doing things, Network Rail has worked with other stakeholders to develop a central template for local engineers and managers to use. The aim was to allow these teams to use the template to produce risk-based management regimes for their assets. 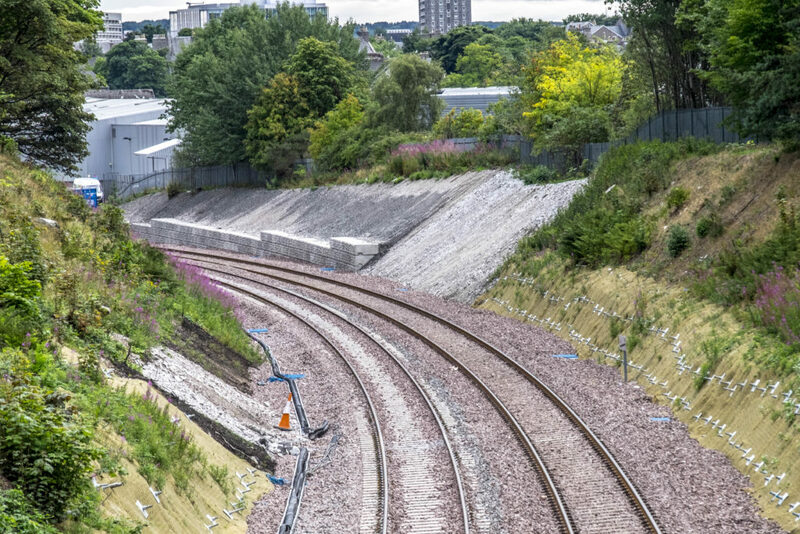 The stakeholders involved have included, among others, RSSB, ORR and Network Rail’s professional heads, so the acceptance of the concept is robust. To fill out the template for a given asset type, it is necessary to identify each and every potential failure mode of relevance and then to agree and develop appropriate ways to manage it. Once this has been done for every mode of failure, then a complete management regime has been produced for that asset. The advantage of this approach is that the management approaches to be adopted are developed by the local team, taking account of all the local circumstances using local knowledge and experience. 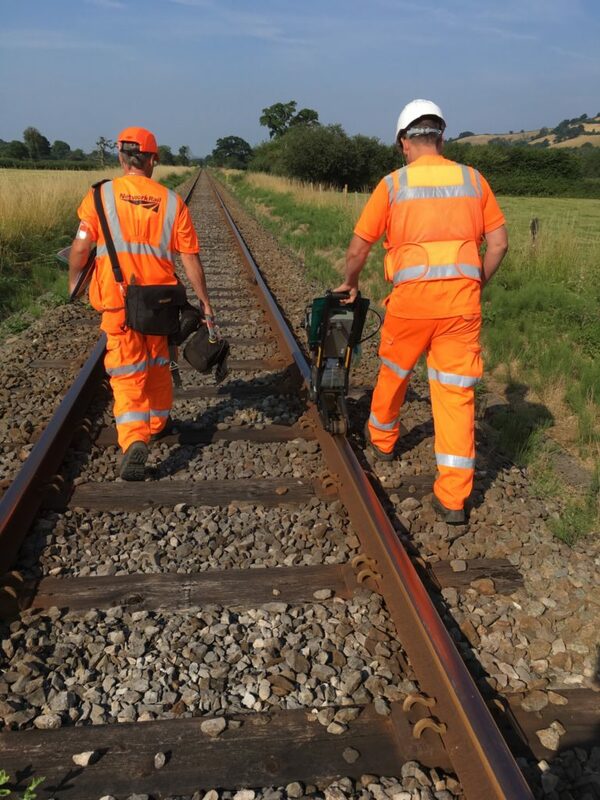 One of the first actual applications of this concept has taken place on the Wales route, at Hereford, where track maintenance engineer Glyn Buckley and his colleagues have been applying it to track, and specifically continuous welded rail (CWR) in the first instance. The route was keen to adopt the concept, since it was felt that significant benefits would accrue from risk-based management of track assets, as already suggested earlier. CWR seemed a good starting point since it was already known to be an asset which needs relatively little attention if properly installed and maintained. At the start of CP5, failure modes for CWR track were identified and put into a failure template. The track on the track maintenance area was divided up into sections according to parameters such as track type and age, traffic type, speed and tonnage, local geography and so on. The objective here was to divide the track into sections of like characteristics. Each of the failure modes was then examined by the local team in order to develop a risk-based management approach specific to a given track section. This resulted in a matrix of management approaches that, together, formed an overall management regime for that section of track. Repeated for each section, this resulted in a total management regime for the whole of the track concerned. Many CWR track failure modes have, for a long time, been susceptible to management, in whole or part, by using the track-monitoring trains. Track geometry failures are a good example and, for this case and others, it has been relatively straightforward to move away from manual track inspections as the principal means of checking track condition. Some modes of failure have been less easy to manage through ‘traditional’ track monitoring train systems, and such modes have inhibited the introduction of alternatives to manual inspection. One example is the problem of track buckling. Whilst this is a relatively rare phenomenon in CWR track, if it does happen, the results have very serious potential consequences. Even if the most serious effects are avoided – train derailment and, potentially, collision with another train – the outcome will be bad. A track buckle can involve major and time-consuming track repairs, meaning line closures and train delays or cancellations. The costs of these, added to the repair costs, mean serious financial penalties for Network Rail. A major part of managing this risk is the management of stress free (rail) temperature (SFT). This is a complex subject which we won’t go into here, except to say that it is not addressed by manual track inspection, and therefore not relevant to the current discussion. The other key part of managing track buckle risks concerns the physical track conditions that may lead to a buckle. 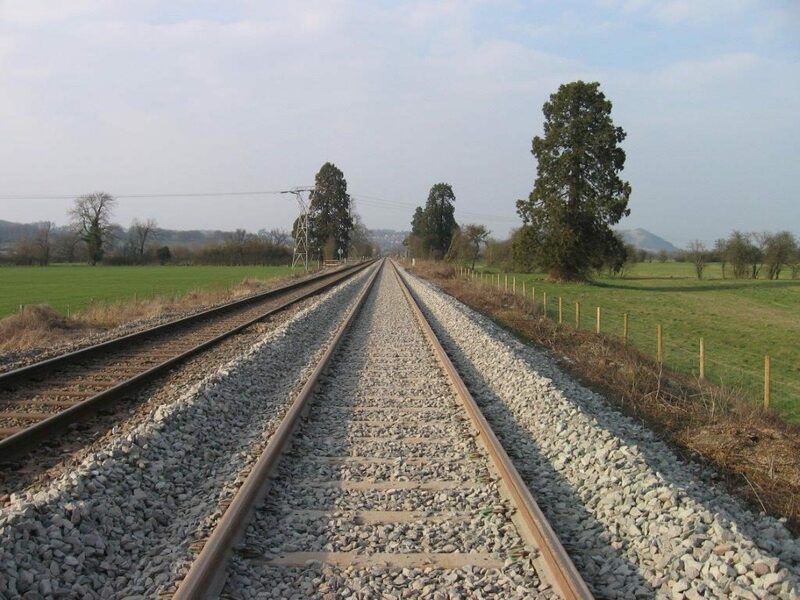 These are faults that mean that the rails are not adequately restrained by the sleepers and ballast, and include missing or failed track fastenings, inadequate ballast profile and ballast or formation failure (slurry spots and wet beds). These kinds of faults were traditionally managed through manual track inspections. 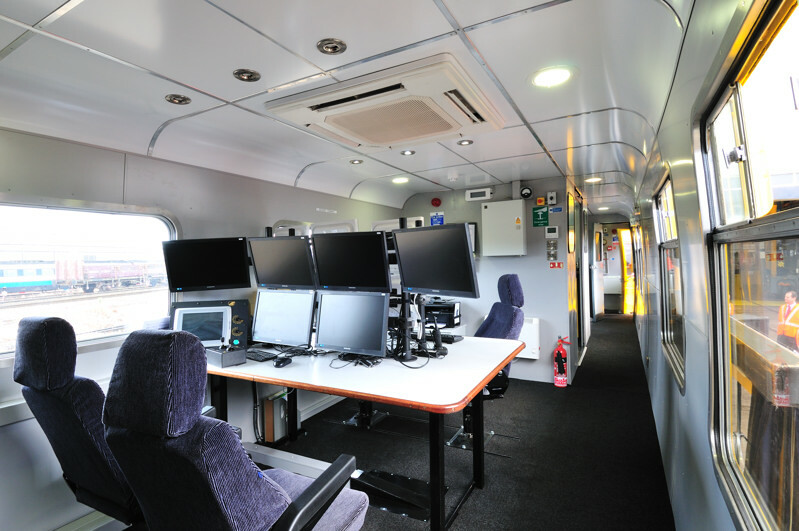 They are eminently suited to monitoring via the new train borne inspection systems such as plain line pattern recognition (PLPR) and video inspection, making them good examples of how these new systems allow the kind of new risk management being used by the Wales route. At the time of Rail Engineer’s interview with Glyn and his colleagues, there were about 120 miles of track under risk-based management of this sort on his ‘patch’ and 500 miles on the route as a whole. Glyn estimated that about 3,000 hours of staff time have been saved by his team alone since the introduction of this approach in early CP5, mostly from track inspections that are no longer required. Glyn was an early adopter, but eight of the eleven section managers on the Wales route are now using the risk-based approach. The time saved has been used to carry out additional maintenance works on the track, with a particular focus on the Level 2 defects (L2s) identified by track geometry inspection trains. The result has been a significant reduction in the numbers of L2s reported. This has meant that more time and resources have been available to fix the less serious L1 defects. What this means is that it is now possible to maintain the track in the way originally envisaged when track inspection trains were first introduced many years ago. The concept was that L1s would be fixed under preventive maintenance as soon as they were detected, so preventing L2s from ever arising except in the most exceptional circumstances. One of the most interesting details of this approach is the maintenance techniques that are being used by the team. Measured shovel packing has been found to be a highly efficient and effective way of correcting L1 and L2 track geometry problems, on steel-sleeper track in particular. It has proven to be more efficient and effective than tamping or other mechanised methods. Stoneblowing is also a very useful technique, especially for jointed track. The approach is a good fit with modern technology. James Burke, senior asset engineer for the route asset manager (RAM), described how well the methodology fits with the L1 and L2 reports from the track geometry trains, as has already been discussed. It also makes good use of data from the PLPR system on the New Measurement Train and sidewear data from the ultrasonic test units (UTUs). A significant benefit is the reduction in the need for people to go onto the track, avoiding a major risk. People and process are more focussed on doing the correct work at the correct time, with a greater emphasis on the riskiest issues. People are confident in the process because it has been approved at the highest level in the industry and because it has now been proven in practice. Given the success of the work undertaken to date, the intention is to roll the strategy out elsewhere in 2019. Switches and crossings are a likely next target for the treatment, and there is the potential, of course, to look at other infrastructure assets besides track. Thanks to Glyn Buckley and James Burke as well as Steve Hood, project manager for the initiative, Fraser Todd, senior engineer, who has been running training workshops for the project, and Bryony Parry, media relations manager, for explaining the project in such detail.